(01/21/16) International Film and Photography Festival (IFPF) finally announced its Best Film on Monday, January 18, 2016. 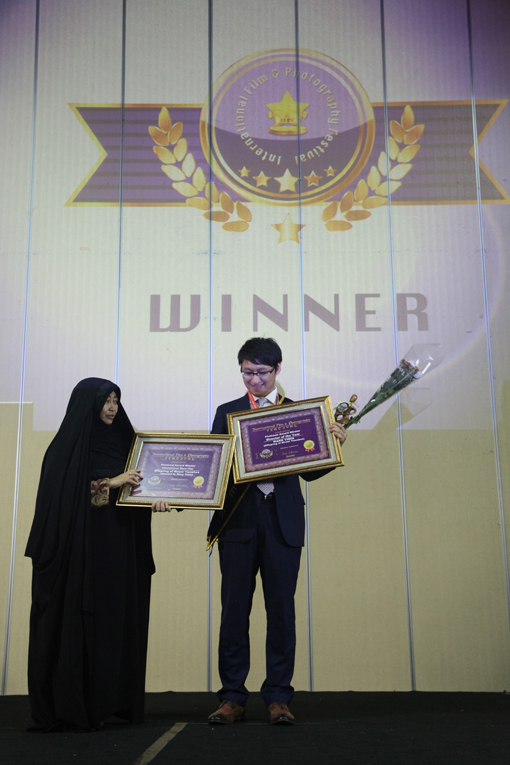 The Awards Ceremony was held on the auditorium of Radio Republic of Indonesia (RRI). The event was attended by filmmakers from outside and inside the country. International Film and Photography Festival (IFPF) is an international film festival dedicated to photographers and filmmakers from all over the world. This festival was made with its principle that photography and film are just like brother and sister. Best Film goes to Offspring of Mount Tianshan, directed by Wang Yimin. This short film tells a story about a newly-wedded Uighur couple made strenuous efforts to take care of an Alzheimer Han old man whose son died for saving the husband, his childhood friend and colleague, from a mine accident. “This film deserves it. That’s all that I can say. The high standard of this film must be highly appreciated.” said Damien Dematra when asked by the press during the awards ceremony as the founder and the director of the festival. This festival works together with Word Animation Awards (WAA), World Documentary Awards (WDA) dan World Human Rights Award (WHRA).